RightClick | RightClick Turns 5!!! 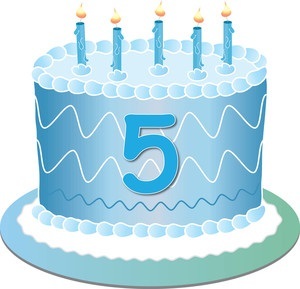 RightClick Recruiting is celebrating our 5-year anniversary this week!!! When we started the company back in 2010, we believed in treating every client, candidate, and member of our team with the personal attention and respect that they deserve. It’s that foundation that has enabled us to thrive and prosper through these years. We want to extend our gratitude to everyone that has worked with us or for us to make this incredible journey possible. To mark the occasion, we have several important announcements to share. First, we are proud to announce the opening of our second office in the great city of San Francisco, which will launch on June 1, 2015. “Go west, young man”. Secondly, in order to reflect the evolution of a direct hire IT recruiting agency to a modern-day IT services firm, we have formally changed our company name to “RightClick”. Third, we have recently undertaken a major re-branding initiative which can be seen on our new website findtherightclick.com and LinkedIn linkedin.com/company/rightclick. Remember to bookmark both pages for the very latest IT job opportunities, career advice, and industry developments. Please stay tuned for other exciting company announcements planned for the upcoming weeks.